The few days leading into these OPA Cup races I was struggling with sickness but going into the first day of racing, the classic sprint I thought I was back and ready to go. Warming up on race day I felt o.k. (much better than the day before) and thought I would be able to go alright but this was soon proven wrong. Out of the stadium and up the first hill I was feeling o.k. then up the second I was starting struggle and soon realised that I didn’t have my usual spark, I started to slip and time started to get away from. Up the last hill I couldn’t throw down nearly as hard as I would have like to, I just couldn’t turn over at any rate, I tried to keep it together double poling into the stadium but was quite lactic by this point. I ended up placing way out the back which was pretty devastating as I was hoping to make heats but anyway, hopefully go better tomorrow in the 10km classic. Waking up, on the morning run and warming up I was feeling marginally better than the previous day, my grip was good and my skis were running fast. The course changed to 4 times a 2.5km loop due to the gale force winds and -20 degrees temp. Heading out on the first lap I tried to ski myself into rhythm and not go too hard and by the second lap I was feeling alright and lifted the tempo. Soon after picking it up I soon came aware that I still wasn’t 100% and had to work hard to keep it together. Going out for the fourth lap was a little demoralizing as the top guys were starting their first lap and streaming past quickly. Many times I considered pulling out, especially when I started getting stomach cramps so I was pretty happy to see the finish line. I ended up with 175ish FIS points which was o.k. considering circumstances. The 15km Skate (Pursuit start) on Sunday was shaping up to be just as hard as Saturday, it was just as cold and the snow was incredibly slow. Due to a slower start on the Saturday I was starting in the last wave, 5 mins back, I didn’t mind this as there were some skiers around me to help pace myself. After a few KMs a couple of skiers in the wave went off the front and not long later I dropped the last few skiers as well. I tried to bridge the gap to the next skier so as I had someone to work with but this was not happening and unfortunately I found myself skiing almost the whole 15kms by myself although it felt like about 30km due to the slow snow. Although I have not yet seen results from this day I am confident in saying it wasn’t my best race I’ve ever had. We are now in Livigno for 2 weeks at 1800m altitude in preparation for going to the U/23 World champs, I am hoping I can regain some form in this time and get back up there to race fast again. Also a big thanks to JC for giving me bomber fast skis all weekend! 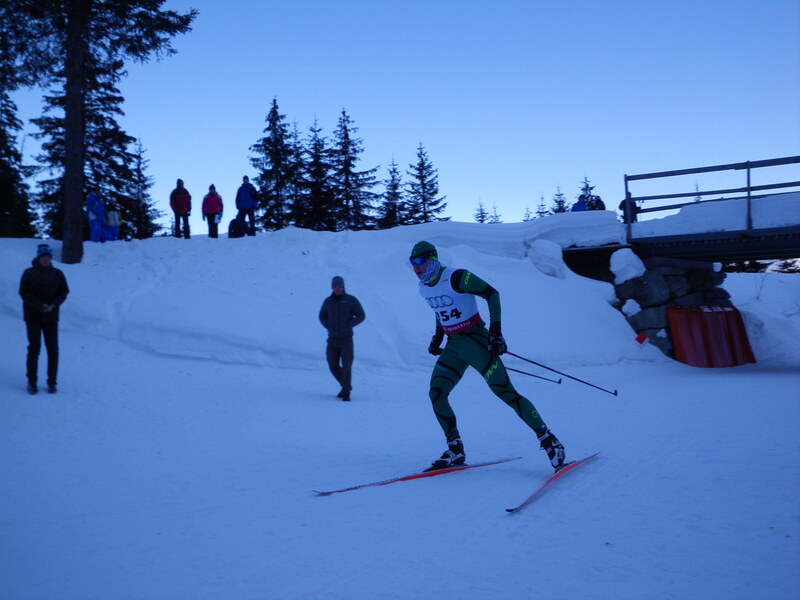 This entry was posted on February 7, 2012 by Phillip Bellingham XC Ski. It was filed under Uncategorized .